Nissan just took the wraps off its new BladeGlider EV concept, which is set to debut later this month at the Tokyo Motor Show. The three-seater electric vehicle features closely-set front wheels to reduce drag and enhance maneuverability for high-G cornering power, which is further assisted by its 30/70 front/rear weight distribution ratio. The concept has roots in two aerial images: the soaring, silent, panoramic freedom of a glider and the triangular shape of high-performance “swept wing” aircraft. 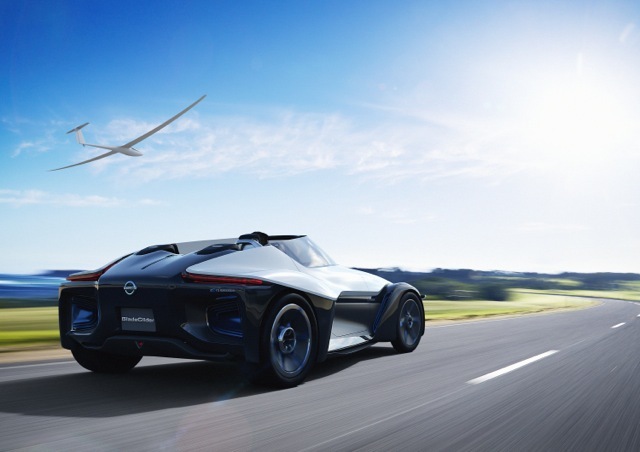 The BladeGlider concept represents the future direction of Nissan electric vehicles, according to Francois Bancon, division general manager of Product Strategy and Product Planning at Nissan. “The goal was to revolutionize the architecture of the vehicle to provoke new emotions, provide new value and make visible for consumers how Zero Emissions can help redefine our conception of vehicle basics,” he said. 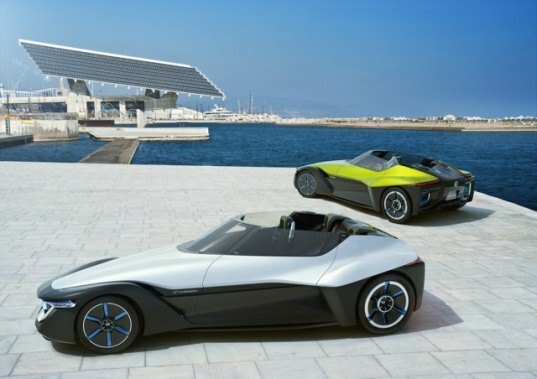 Happily, Nissan plans to produce a road-ready version of the BladeGlider and it may even be the automaker’s first production vehicle with in-wheel electric motors. The in-wheel motors provide rear-wheel propulsion with independent motor management, while also contributing to freedom of upper body design and space-efficient packaging. Nissan just took the wraps off its new BladeGlider EV concept, which is set to debut later this month at the Tokyo Motor Show. The three-seater electric vehicle features closely-set front wheels to reduce drag and enhance maneuverability for high-G cornering power, which is further assisted by its 30/70 front/rear weight distribution ratio. The concept has roots in two aerial images: the soaring, silent, panoramic freedom of a glider and the triangular shape of high-performance "swept wing" aircraft.